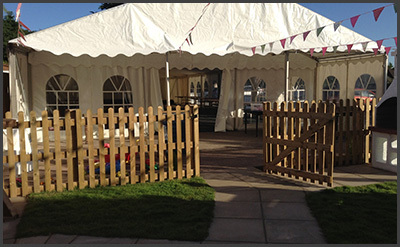 From large weddings in a marquee to a child's 3rd birthday party on a bouncy castle (and on one occasion a bride on a bouncy castle too) the Maltsters Arms has held every kind of event imaginable. Corporate events, weddings, parties and even an annual Blues Festival, the Maltsters Arms does it all. Please click to see our Children's Party Menu or our adult Buffet Menu. The Maltsters Arms has a large outdoor area so can accommodate large events taking advantage of the glorious Devon summer sun. With an outdoor Barbecue and bar in our garden, a family fun event can be laid on that will never be forgotten. In the event of the weather not be kind to your event planning, we can organise Marquee hire on your behalf through Brooklands Events. We have had large Marquees accommodating hundreds of guests for large weddings and parties with full table service and top quality catering as you would expect from the Maltsters Arms. 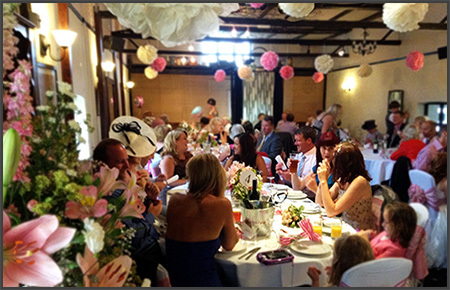 The large function room at the Maltsters Arms is the perfect venue for your special day. With a private bar, adjoining beer garden and our expertise, you can rest assured that all of your guests will feel welcome and relaxed. We can arrange the cake, the band/DJ, decorations, food... you name it. Sunday 7th April will be our Usual monthly quiz. 8pm start £2 per person, max 5 per team. To book or for more information on any events, or to enquire about an event of your own, please click here to get in touch.